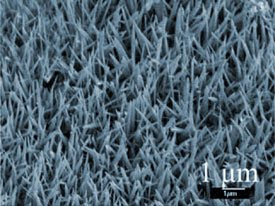 A conducting polymer film acts as a self healing coating to protecting metals from corrosion, say researchers in Japan. Steel is used to construct many different structures but is susceptible to corrosion, which can limit its practical uses and lifetime. Structures such as bridges or boats are often exposed to salt solutions that rapidly corrode them. This is a large problem and costs related to corrosion in developed countries amounts to approximately four per cent of their gross national product. Damian Kowalski and coworkers at Hokkaido University have developed a new type of coating using an intrinsically conducting polymer (ICP), polypyrrole, which could be used as an alternative to expensive and toxic chromates currently used. ICPs are, in effect 'synthetic metals', capable of conducting electrical currents or ions. Kowalski doped polypyrrole with heteropolyanions (PMo12O403- and HPO42-). When the polymer coating is damaged, healing ions are released to the affected site, react with the steel forming an insoluble iron molybdate salt in the defect zone. This is different to other systems where usually a monomer is released to recreate the coating in the damaged region. The key to the system is the control of the healing, explains Kowalski, 'in our work we have demonstrated how to control the release of these healing ions using an ion-permselectivity approach'. This stops the healing ions reacting with the metal before the coating is damaged, significantly increasing the lifetime of the coating. Paul Braun, an expert in self-healing coatings at the University of Illinois, US, is impressed by the novel approach. Braun sees one possible advantage of Kowalski's system is its size, as it is 'much thinner than other coatings, which will be a distinct advantage for some applications'. Kowalski is now developing the system to improve the healing response of the coating, attempting to reduce the size even further. The natural cement produced by oysters to build extensive reef systems contains significantly more inorganic material than the glues of other marine species, and could spur development of new synthetic adhesives for biomedical devices or antifouling coatings for ships, say researchers in the US. Jonathan Wilker and his team at Purdue University and colleagues at the University of South Carolina have been investigating how oysters bind to reefs and each other, in a bid to develop synthetic composite materials with properties that imitate the oyster glue. The team analysed the chemical composition of oysters' adhesive using infrared spectroscopy, electron paramagnetic resonance spectroscopy and thermogravimetric analysis. 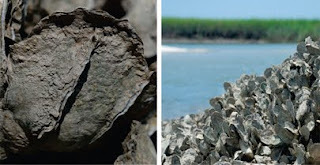 They found higher protein content in the adhesive material than in oyster shell (10 per cent as opposed to 2 per cent), and evidence of protein cross-linking, iron species and radical species. However, the rest of glue, around 90 per cent, was formed mainly of inorganic species such as calcium carbonate. This feature separates oysters from other marine species such as mussels and barnacles, whose glues are predominantly protein based with only a small portion of inorganic material. 'It looks like oysters have more of a hard, inorganic cement compared to mussels and barnacles that produce more of a soft organic glue,' says Wilker. 'This study reveals new details of a previously poorly-characterised marine adhesive, and a rare example where a significant inorganic mineral component is present,' says Phillip Messersmith, an expert in biomedical engineering at Northwestern University in Illinois, US. 'It will be interesting to see if follow-up studies provide insight into the mechanism of formation, crystallography and mechanical role of the inorganic component,' he adds. Wilker hopes that the different properties of the oyster adhesive compared to mussel or barnacle glue could lead to a new class of synthetic materials. 'One of the more appealing ideas would be if you could adapt this kind of technology into a surgical adhesive, a bone cement or dental cement,' he tells Chemistry World. By understanding how the oysters stick to surfaces the team could also develop surfaces that prevent them sticking in the first place, which could be useful in antifouling coatings on ship hulls, Wilker says. At present, copper based paints are used, but they can be toxic to marine organisms as the copper is released into the water. Mitochondria, often called the powerhouse of the cell, have been harnessed in a new battery-like device that could one day power small portable devices like mobile phones or laptops. 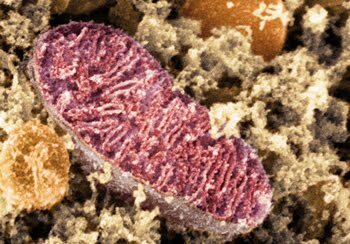 Mitochondria convert fatty acids and pyruvate, formed from the digestion of sugars and fats, to adenosine triphosphate (ATP), the cell's energy supply. Along the way a tiny electrical current is generated, and Shelley Minteer and coworkers from Saint Louis University in Missouri, US, have now harnessed those flowing electrons to put them to work in a new biological battery device. Speaking at the American Chemical Society national meeting in Boston, US, Minteer described how her team has built a biological battery that incorporates whole mitochondria capable of producing a current anywhere from microamps to milliamps per square centimetre, depending on the surface area of the mitochondria and the load density. The bio battery is completely renewable and biodegradable, and is stable at room temperature and a neutral pH for up to 60 days. 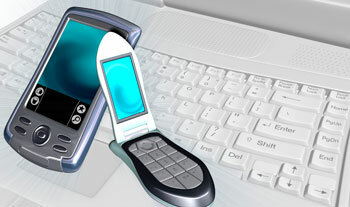 Minteer says the new batteries would be best suited to small devices that have intermittent use. Right now, the test cell is in an open glass container in the lab, but for future commercial use, it would be in a hard plastic container. The fuel, any high energy dense liquid, would be added through a sealed, disposable cartridge that would be replaced as needed. In the future, Minteer wants to increase the surface area within the device so they can increase the loading density of the mitochondria because at the moment they're limited by the amount can put on the electrode. They're also looking at ways to improve the energy density output, and reengineer the size of the device to be as compact as possible. Evgeny Katz, an expert in biochemistry at Clarkson University in New York, US, describes this as 'an extremely interesting approach,' because the mitochondria can 'consume the whole biochemical, producing much more energy and power from the oxidation process'. He was also impressed with the very high stability of the mitochondrial battery. 'In most biofuel cells, the critical issue is not only how much power you produce but how long you can get it,' Katz explains. Scientists in China have developed a probe that could be used to test how well a patient will respond to certain drug treatments. The new probe measures the activity of N-acetyltransferase 2 (NAT2), an enzyme that metabolises drugs and other toxins containing aryl amines and hydrazines. The activity of NAT2 differs between individuals, which affects how well a drug will work, and dysfunction of the enzyme has been linked to breast cancer, Parkinson's and other diseases. A simple measure of NAT2 activity could help ensure patients are given drugs that they can metabolise effectively with minimal side effects. Xuhong Qian and colleagues at the East China University of Science and Technology in Shanghai found that the fluorescent molecule amonafide is metabolised specifically by NAT2. The enzyme acetylates the probe molecule, shifting its flourescence wavelength. Hence, this fluorescence change correlates to NAT2 activity. Current methods for predicting patient response to certain drugs require complex genetic analysis, but this probe could provide a simple and sensitive test. 'The probe has significant potential applications in personal medicine,' Qian says. 'We also hope that it can be used to study the mechanism of different kinds of diseases related to NAT2.' The team now intends to design probes for other important enzymes. Chemists in the US have developed a microreactor system which automatically calculates the optimal conditions for the chemical reaction it is undertaking. Once computed, the conditions can then be applied to a larger-scale reaction system. The researchers say their approach can save hours or days of tedium in the laboratory, by eliminating many manual experiments that would otherwise be required, as well as reducing the amounts of reagent needed. To demonstrate the system, the research team from the Massachusetts Institute of Technology used the reaction of 4-chlorobenzotrifluoride with 2,3-dihydrofuran - an example of a Heck reaction, widely used in organic synthesis. 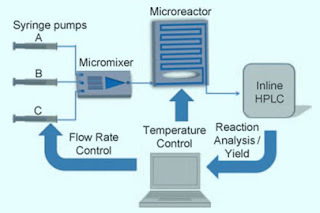 Three syringe pumps containing the various components of the reaction were fed into a mixer, which in turn was connected to a 140ul microreactor. The yield of product was measured by high performance liquid chromatography (HPLC), whose results were passed to a computer programmed with an 'optimisation algorithm'. This enables the computer to take information about parameters such as flow rate, temperature and concentration of reactants, relate them to the yield, and then adjust them intelligently - based on the readings from the previous cycle - to produce gradually higher yields of product. The computer is also connected to the apparatus that controls flow rate, temperature, reactant concentration and so on, enabling these adjustments to the experimental conditions to be made automatically. Within 2 days and after multiple cycles the system had arrived at the optimal conditions for a product yield, in this case, of 83 per cent. 'We then wanted to see if we could use this information to scale the experiment up,' says team member Klavs Jensen. Using the conditions calculated by the microreactor system, the experiment was scaled up to a reactor representing a 50-fold increase in volume. 'The same optimal conditions applied at this larger scale,' says Jensen. 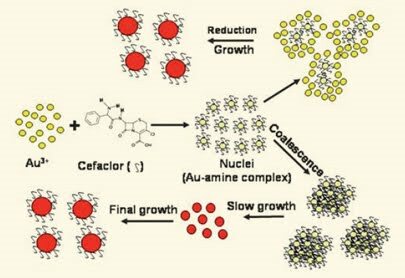 Chemists in the UK and India have developed a simple, one step synthesis of gold nanoparticles incorporating an antibiotic, without using any other chemicals. The particles make the antibiotic more stable and could overcome some types of bacterial resistance. Speaking at the American Chemical Society national meeting in Boston, US, Carole Perry from Nottingham Trent University described how her team discovered that the beta-lactam antibiotic cefaclor can be used to control the synthesis of gold nanoparticles. The team's method is very simple, requiring no fancy equipment: 'All you need is a balance to weigh out the components,' Perry says. The particles are made by simply mixing a gold salt with cefaclor in water between room temperature and 70°C and stirring for a few minutes or hours. Although the team have not fully investigated exactly how cefaclor transforms the gold ions into gold metal, Perry believes that the free amine group on cefaclor is responsible for the metal reduction. Beta-lactam antibiotics like the penicillins and cephalosporins disrupt bacterial cell wall formation, but many strains of bacteria have developed resistance. Perry explains that the nanoparticles could overcome some of those resistance mechanisms by delivering a concentrated dose of cefaclor. The cell wall is then disrupted before the cefaclor can be broken down by the cells defensive enzymes. This then allows the nanoparticle to get inside the cell, where the gold can interfere with DNA replication. Perry is enthusiastic about the scope of the discovery: 'Many other antibiotics have free amines that could work in the same way,' she says, 'and it could be useful for people designing new antibiotics to incorporate into the design process.' She adds that the extra stability of the gold-supported cefaclor has allowed the team to investigate applications such as sticking the particles to surfaces, with a view to using them in hospitals or wound dressings. An aqueous two-phase microdroplet system that isolates and extracts cells could aid research into tissue engineering and regenerative medicine, say UK scientists. Droplet-based microfluidic systems, using a fluorescence-based detection method have been used to locate, identify and discriminate cells within a specific droplets and more recently two-phase systems have been investigated for their ability to separate different biological materials. Target cells distribute between phases by their own thermal motion to reach equilibrium but so far this has proved a slow process. Now, Andrew deMello and his team at Imperial College London have devised a novel method to separate cells using microfluidic droplets. The process could enable high throughput cell separation which would be ideal for clinical applications such as cell therapy and regeneration. In deMello's device, human T lymphoma cells enter the microdroplet system within a dextran solution. At a T-junction in the device, the dextran meets a polyethylene glycol (Peg) inlet where a droplet of Peg completely encapsulates a dextran droplet. These droplets then follow a winding channel in the device that causes both phases to mix - forming an emulsion and allowing the cells to experience the environment of both phases. When the two phases separate back into a double droplet, the cells remain in the outer Peg phase. Binding the cells with an antibody-N-isopropylacrylamide (Ab-NIPAM) is crucial to the separations explains deMello as this makes them favour the Peg phase. Without the Ab-NIPAM, 98 per cent of the cells remain located within the dextran. But once bound this reverses to 93 per cent moving to the outer Peg droplet. The team believe that the technique will be able to separate heterogeneous cell populations in a high-throughput manner. Also, the use of Ab-NIPAM conjugates can be applied to a wide range of other cell systems simply by changing the antibody. Making compounds that contain the useful radioisotope fluorine-18 (18F) could be much easier in future, say researchers in the UK and Finland. The team integrated the isotope into a popular fluorinating agent called Selectfluor, which opens up a wide range of chemistry to build useful radiolabelled molecules. 18F has a half-life of around 2 hours and releases positrons as it decays, making it perfect as a radiotracer in positron emission tomography (PET). This type of medical imaging is increasingly popular for disease diagnosis and monitoring a patient's response to therapy, but it also has great potential in drug discovery. By adding 18F to the organic structure of new drug candidates, PET scanning can be used to identify the biological interactions of the compounds. This gives chemists valuable information about the behaviour of new drugs early in their development, which helps pharmaceutical companies to make important decisions sooner in the pipeline. The high reactivity is a problem because F2 gas often over-fluorinates complex molecules or causes unintended side-reactions. Also, F2 gas is not made as two molecules of 18F - and the large amount of normal 19F present can cause low radiochemical yields. To solve these problems, Gouverneur's team built 18F into a popular fluorinating agent called Selectfluor. The reagent is nontoxic and undergoes a variety of fluorination reactions that are quick and easy to handle. 'Our reagent has a much better reactivity and selectivity profile, and can be easily transported short distances to local sites that do not have the capacity to manufacture it themselves,' Gouverneur told Chemistry World. 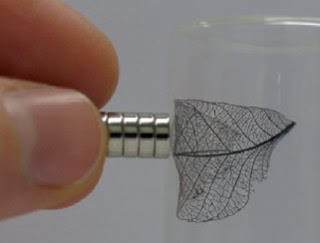 A magnetic leaf has been created by researchers in Germany using a simple one-step process to synthesise a complex iron carbide microstructure that mimics the intricate structure of a leaf. The team's biotemplating method could be an easy and efficient way to enhance the functionality of metal carbides for catalytic and electrochemical applications. Metal carbides are a desirable material, especially for use in electrodes and extreme catalytic processes, because of their resistance to high temperatures and mechanical stress. These properties, however, make it difficult to control their crystal growth and thus enhance their structures for optimal performance. Now, Zoe Schnepp and colleagues at the Max Planck Institute of Colloids and Interfaces in Potsdam, Germany have used a biological templating technique to synthesise a highly complex iron carbide structure. 'Iron carbide in particular is quite challenging to synthesise, even as a powder, and so the fact that we've got such a complex microstructure is a really big advance,' says Schnepp. 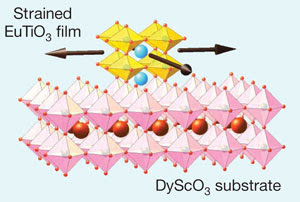 decomposes to a carbon-rich matrix and the iron acetate decomposes to iron oxide. Experiments with the iron carbide leaf revealed that it had magnetic and conductive properties suitable for water splitting and electrodeposition of platinum. However, although Schnepp says it's possible the magnetic leaf could find some applications, the work is more important as demonstrating a general route to complex metal carbide structures. 'In theory any carbon-based structure could be used with this method. You could choose your original template to have the structural characteristics you want in your magnetic and conductive iron carbide product,' she adds. A way to label molecules with colourful barcodes has been developed by chemists in South Korea. 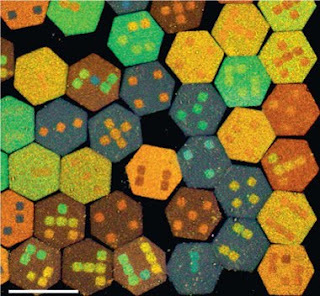 The barcode particles, which resemble microscopic dice, have a pattern of coloured spots that gives them a unique spectral fingerprint. In addition, they can spin around and function as miniaturised stirrer bars to speed up reactions. Labelling compounds is particularly helpful in drug discovery, where the best way to find active molecules is with high-throughput screening. This method tests millions of compounds for reactivity with a biological target, and a common technique is mixing thousands of candidates together in a biological assay. By labelling the molecules with fluorescent tags, any compounds that are 'hits' can be easily identified. The secret to making the new particles, says Sunghoon Kwon, who led the research at Seoul National University, is 'magnetic ink' developed by his team last year. This is made from a mixture of UV-sensitive polymer and magnetic nanocrystal clusters that reflect specific wavelengths of light depending on an applied magnetic field. As the magnetic field varies, the ink changes colour - and in combination with optical lithography, UV light can be used to 'freeze' the colour in small areas on the particles. This process can generate spots as small as 5um on a 200um tile, and takes less than a second. Since the labels contain magnetic nanoparticles, a rotational magnetic field can be applied to spin them around, Kwon explains. 'We found that this process can reduce reaction times by a factor of ten,' he told Chemistry World. The process may also be useful in sequencing DNA - where many different labels are required to tag and track samples. Another possibility is to develop new anti-counterfeiting techniques, as the unique spectral fingerprints generated would be impossible to replicate. Plastic waste is a problem in the oceans, but it's not clear where it is - or how much there is. Kara Lavender Law and colleagues at the Sea Education Association in Woods Hole, Massachusetts, US, have been trying to pin down where plastic debris accumulates in the Atlantic, and were surprised to find that, despite the rise in plastic production, the amount of debris in the ocean hasn't really increased. 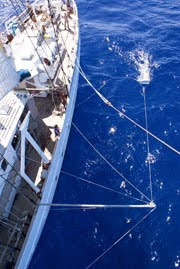 Law's team sampled the sea surface for biological organisms twice a day using a plankton net, about a metre wide at the mouth, and with a mesh size of about 0.33mm. 'As early as the late 1970s, we noticed that we were collecting tiny bits of plastic,' says Law. The team has now analysed data from the past 22 years - more than 6,000 net tows- to try and quantify the amount of plastic in the western Atlantic and the Caribbean. 'Surface currents transport the debris around the ocean, and the highest concentrations of plastics were found in subtropical latitudes where the currents come together. We're not sure yet how far east it goes as we've only studied up to just east of Bermuda,' she says. The fragments of plastic are mostly HDPE, LDPE and polypropylene, which are less dense than seawater - denser plastics like PET will sink. 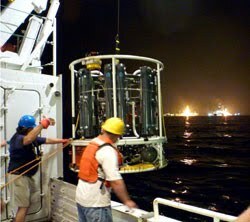 New data collected by a submersible robotic laboratory provides insights into the magnitude and potential impact of the Deepwater Horizon oil spill in the Gulf of Mexico. The submersible identified a two-kilometre wide plume of hydrocarbons that had travelled 35km from the site of the spill and which researchers think may persist for a long time. Richard Camilli at Woods Hole Oceanographic Institution, Massachusetts, US and colleagues analysed the data for a study published in Science. They estimate that 6-7 per cent of all the benzene, toluene, ethylbenzene and xylene (BTEX) hydrocarbons leaked in the spill are contained within the plume. BTEX hydrocarbons make up just 1 per cent of the total amount of oil released. Yet to account for BTEX concentrations of over 50 micrograms per litre, thousands of kilograms of it must have been pouring into the plume each day. Camilli says the plume is evidence that the oil is persisting for longer periods than some might have hoped. 'Many people speculated that subsurface oil droplets were being easily biodegraded,' he says. 'Well, we didn't find that. We found it was still there.' The team's surveys suggest the plume has already persisted for months. One of the big concerns for fisheries in the short term is hypoxia - low oxygen levels - caused by bacterial blooms feeding on the oil as a carbon source. Matthew Jenny, who studies the effects of oil on marine animals at the University of Alabama, says bacteria blooms could potentially exacerbate an already recurring problem with hypoxia in the Gulf of Mexico. However, oxygen signals gathered in the study suggest that if the oil is being degraded by marine microbes, it isn't disappearing very quickly. On the other hand, this means the oil could travel further from the site of the spill. Jenny says scientists can only speculate about what the research means for wildlife. 'We really do not know what the impacts on wildlife are going to be and it will be a year or two before we can really start to assess the impact,' he says. For instance, the toxic effects of the BTEX hydrocarbons the researchers focused on are only known for vertebrates and in particular, mammals. 'Far, far less' says Jenny, is known about their toxicity to marine invertebrates. In 2006, Craig Fennie and Karin Rabe theoretically predicted that europium titanate (EuTiO3), which is antiferromagnetic, should exhibit both ferroelectric and ferromagnetic properties if grown as thin films on a substrate to induce a compressing strain on the material. Now, a large collaboration led by Darrell Schlom at Cornell University in Ithaca, US, have carried out experiments to confirm these predictions. Green chemistry is one of five technologies set to benefit from a 1.35 billion (£1.11 billion) cash injection over the next 4 years in France. The investment, which was signed off on 8 August, aims to accelerate innovation and deployment of green technologies, explains Daniel Clement, assistant scientific director at the French Environment and Energy Management Agency (ADEME). There is no set quota on how the money will be distributed between the five technologies, he told Chemistry World, 'but it can be argued that aid for green chemistry will exceed 200 million'. The other four technologies gaining funding alongside green chemistry are solar power, marine energy, geothermal energy and carbon capture and storage. Overall ADEME will hand out 190 million for the project in 2010, and then 290 million every year until 2014. Two thirds of this will take the form of loans, with the remaining third being grants, and the government expects to attract over 2 billion in extra investment from private institutions. The low carbon and renewable energy scheme was the first project to be signed off in an overall 35 billion strategic investment plan to boost the nation's scientific and technological competitiveness announced by the French government in December 2009. James Clark, head of the green chemistry centre of excellence at the University of York in the UK, believes it's essential for European countries to make this kind of investment. 'It's fundamental,' says Clark. 'Traditional resources are going to get so pricey and so unreliable.' He points to a group of companies, associations and universities working on green chemistry in northern France called the IAR (Industries and Agro Resources) competitiveness cluster that he is collaborating with as a good example of the country's approach. A simple and easy way to make mixed zinc-cadmium sulfide materials that produce hydrogen by splitting water under visible light has been developed by scientists in the US and China. The mixed materials can harvest a wider range of wavelengths than conventional materials, making them more efficient. Photocatalytic conversion of sunlight to chemical energy, for example by producing hydrogen is an attractive alternative energy source and a feasible way to tackle the global energy and environmental pollution crises. Conventional photocatalysts, such as TiO2, CdS or ZnS, possess excellent activity and stability but only absorb near-ultraviolet light - which accounts for only 4 per cent of the solar spectrum. Expensive noble metal co-catalysts, such as platinum can be added to increase their absorption range but this increases their cost. Now, Mietek Jaroniec from Kent State university, Ohio, and Jiaguo Yu from Wuhan University of Technology, have made mixed zinc-cadmium sulfide complexes doped with cadmium sulfide quantum dots (CdS QDs) that show high photocatalytic activity under visible light, without the need for noble metal additives. 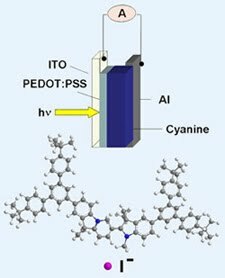 'The high H2-production activity of the CdS quantum dot-sensitised material under visible light can be attributed to the facilitated electron transfer from CdS QDs,' says Jaroniec. The team made the mixed solid solution using a simple hydrothermal method to combine ZnS nanoparticles and Cd(NO3)2 salt. Followed by the thermodynamically favourable replacement of Zn2+ ions by Cd2+ ions using cation exchange. Quantitative analysis shows that the photocatalytic H2-production of the new material is more than 50 times greater than CdS on its own, as well as being significantly better than platinum-doped ZnS under UV and visible light. Max Lu, an expert in clean energy and environmental technologies at the University of Queensland, Australia, says, 'the results are quite exciting, and the CdS quantum dots are shown to be powerful in facilitating photocatalytic water splitting even without the use of Pt. If the stability is proven to be good, this system should offer opportunity to substantially lift the rate of hydrogen production under visible light irradiation.' Next, the team plan to find other quantum dot-based materials, which could be used to enhance hydrogen generation. Ever wished that your waterproof jacket could actively remove water from the inside? Now, scientists in Australia and the US have coated a fabric so that it could do just that by transferring water exclusively in one direction. Directional transport of water is common in nature, where it is usually done by channel proteins that move water from one side of a membrane to another. However, most 'breathable' clothing membranes rely on temperature and concentration gradients to push water vapour from sweat through to the outside. Water can also be moved about by exploiting mechanical pressure gradients, or by making use of surface tension differences. However, these possibilities have only been studied on flat surfaces and not in porous materials like fabrics. Tong Lin at Deakin University, Australia, and his colleagues coated a porous polyester fabric on both sides with a mixture of titanium dioxide and organosilanes. 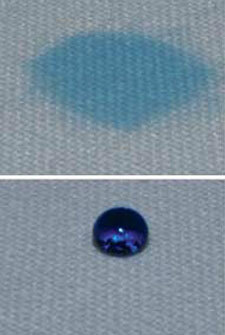 This combination is similar to a common coating for so-called superhydrophobic surfaces, which strongly repel water. They then shone UV light on one side of the fabric, which initiated a reaction that changed the coating. Because the effect of the light diminishes the further it penetrates into the fabric, a gradient forms from one side to the other. The side without UV light remains hydrophobic while the other side becomes hydrophilic. When water is dropped onto the hydrophobic side of the fabric, it is quickly transported through the polyester to the hydrophilic side, where it then stays. The team was surprised by the findings as the researchers were simply aiming for a fabric with different properties on each side: 'We found it has an incredibly different property: water proactively passes through the fabric from the superhydrophobic to the hydrophilic side, but not the opposite way unless extra pressure is applied,' Lin explains. The team believes the simple coating technique could be used to produce high-performance fabrics for sports and military use, and even industrial membranes. Howard Stone, who works on surface wetting and flow at Princeton University, US, is impressed by the work. 'I would have expected this strategy to work so long as the contact angles [the angle the droplet makes with the surface] went from 90 degrees toward zero degrees, but the authors show this works even when the initial contact angle on the hydrophobic side is greater than 90 degrees.' He suggests that the unexpected behaviour could be due to gravitational influences but says it needs further investigation. Chemists have accidentally discovered a new type of metal organic framework, or MOF, which is made from edible components. The materials needed to create the new structures are cheap, renewable and widely available and the conditions needed to create the frameworks are benign. That they can be made from molecules that are safe to eat could give the new compounds a role in the development of new food and pharmaceutical products. MOFs consist of a network of metal-based nodes connected by organic struts. Their huge porosity and the ability to include chemical functionality within the pores have propelled MOFs to the forefront of a number of technologies including gas storage and capture, catalysis and drug delivery. Fraser Stoddart's team at Northwestern University in Illinois, US, was attempting to make new interlocked molecular architectures based on the eight-membered sugar ring gamma-cyclodextrin, a low-cost derivative of starch. Dissolving potassium hydroxide with the cyclodextrin in water, then diffusing methanol through the system produced well-defined colourless crystals. 'When we obtained the x-ray structure of the crystals it was clear we had produced something surprising,' says team member Ron Smaldone. Working with colleagues from the University of St Andrews in the UK and the University of California Los Angeles, the researchers showed that six cyclodextrin rings had formed the faces of a cubic structure, held together by co-ordinating potassium ions, and these small cubes in turn fitted together in a large three-dimensional cubic framework. Each individual cube has a central pore of around 1.7nm across, with windows in each face of 0.8nm in diameter, which run through the structure as channels connecting the pores. 'We showed that the structure is stable in the absence of the solvent and that it was capable of absorbing nitrogen on a par with other MOFs,' says researcher Ross Forgan. Most MOFs to date have been constructed from organics derived from petrochemical feedstocks. If MOFs become mass produced, structures derived from a renewable, carbon-neutral source could be attractive, Smaldone says. There is also scope to experiment with other natural macrocycles, using different metal centres and functionalising the internal space of the cubic units. The fact that the new MOF is made from molecules that have been approved for human consumption could make the structures useful for the food and pharmaceutical industries. Squeezing gold nanowires inside a polymer case causes them to coil up into tiny springs, researchers in Singapore have found. These nanosprings store energy during the coiling process, and release it again when straightened back out. Nanomachines may still be the stuff of science-fiction, but the miniscule components they would require are getting ever closer. Scientists have already made nanosized springs but it hasn't been easy to make them out of single metal wires, until now. Metallic nanosprings, analogous to the macrosized springs we use extensively in everyday life, are desirable due to metal's flexibility and resilience. 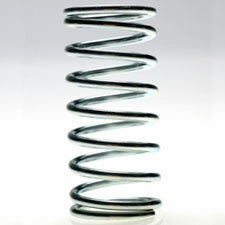 Most nanosprings made so far have been naturally coiled and required energy to be straightened out. But Hongyu Chen and his team at Nanyang Technological University and the National University of Singapore, have made springs that instead release energy when uncoiled. To make the springs, the team encapsulated gold nanowires in a polymer container called a micelle. The solvent around the micelle was then changed causing it to shrink in size. Each micelle was found to contain a single coil of five to 10 loops, and the team believe that the micelle shrinkage triggered the coiling up of the wire. When the polymer is removed - or the micelle is allowed to swell again in an appropriate solvent - the springs straighten back out, releasing energy. 'We wanted to make the wires fold into random coils by crumpling them in a restricted volume and we were surprised when we found that the springs were ordered,' explains Chen. Christoph Weder, professor of polymer chemistry at the Adolphe Merkle Institute in Fribourg, Switzerland, thinks that the concept is an exciting one. 'The wire is only indirectly involved with the self-assembly process, which makes this an interesting concept - they are not trying to manipulate the wire growth directly but exploit the assembly of the polymer,' he says. Weder sees the method being used to induce coiling in other materials too. Chen believes that multiple component systems are the way forward for nanotechnology. 'With this combination of two components we have been able to achieve something that cannot be achieved with any of the single components,' he says. Chen hopes that this is another 'tree in the forest' of nanofabrication. A new, fast way to analyse DNA has been developed by European scientists that could be used to sequence the genomes of viruses and in the future help tackle genetic disorders such as schizophrenia and congenital heart defects. Current DNA sequencing methods are able to sequence short regions of the genome (302 to 15002 bases in length). Regions that are either duplicated or deleted relative to a reference genome are an important cause of structural variation in the human genome with links to a variety of genetic disorders. Using current sequencing methods, studying these repeats is time consuming and labour intensive. Now, Robert Neely and colleagues, at Catholic University Leuven, Belgium, have used a DNA methyltransferase enzyme to label the 5'-GCGC-3' DNA sequences with a fluorescent marker. Immobilising and stretching the DNA on a surface then produces a unique and reproducible pattern when combined with the fluorescent markers. The result is a 'fluorocode' - a simple description of the DNA sequence, which can be read and analyzed like a barcode. DNA barcodes using fluorescent tagging can be read quickly as labelled samples pass a detector, but Neely's fluorocode gives significantly enhanced resolution and uses a much smaller number of DNA molecules. 'The method from unlabelled DNA to fluorocode can be achieved in less than 8 hours for a DNA molecule that is around 50000 bases in length' says Neely. Current single molecule mapping methods have a timeframe of around one week for analysing individual genomes. The group now plan to scale the fluorocode up from viral genomes to bacterial and on to eukaryotic genomes with the immediate aim of producing multi-coloured fluorocodes with even more detail. German researchers have captured clear images of intermolecular bonds for the first time using a modified form of scanning tunnelling microscopy (STM). The technique could help scientists studying the functionalisation of surfaces with molecules to develop new materials including semiconductors and fuel cells. Stefan Tautz and colleagues at the Jülich Research Centre in Germany first demonstrated the technique in 2008 when they produced images of various phases of the aromatic hydrocarbon molecule 3,4,9,10-perylene-tetracarboxylic-dianhydride (PTCDA) on a gold surface.1 By dousing the tip of a low temperature scanning tunnelling microscope with liquid hydrogen, images of the molecule's internal structure were produced that looked remarkably like textbook drawings of atomic structures. Now, the team have gone a step further and optimised the scanning tunnelling hydrogen microscopy (STHM) technique to image the types of interactions occurring between PTCDA molecules on a gold surface.2 'This has been impossible up to now with any method that I am aware of,' says Tautz. In the latest experiments, the team condensed deuterium at temperatures between 5 and 10 Kelvin at the microscope's tip and doped the gold surface with potassium. Leo Gross at IBM Research in Zuruich, Switzerland, who earlier this month reported a new technique to image molecular structures using atomic force microscopy, thinks the new study is an important development. The images obtained by the STHM technique show remarkable intramolecular resolution and greatly advance the investigation of molecular monolayer structures,' he comments. Scientists develop a highly efficient and chemically stable hydrazine sensor using carbon modified zinc oxide nanorods. Hydrazine, N2H4 is highly neurotoxic and carcinogenic and can cause sever damage to the liver, lungs and kidneys. It is used extensively in industry, primarily as a foaming agent in the manufacture of polymer foams, as well as a precursor in the synthesis of catalysts, agrochemicals and pharmaceuticals. Therefore, for safety considerations, a reliable hydrazine sensor is highly desirable. Of the wide range of hydrazine detection techniques reported, electrochemical devices are the most promising since they are low cost, portable and generally offer fast response times and good sensitivity. Nanoparticle modified electrodes, such as zinc oxide nanostructures, are particularly advantageous because of their increased surface area, reduced resistance and a high signal-to-noise ratio. But, while highly sensitive the electrodes are insufficiently stable in various electrolytes for practical application. Jinping Liu and colleagues at Huazong Normal University in China have overcome this problem by coating zinc oxide nanorods in a layer of carbon just a few nanometers thick using a simple immersion-calcination method. The high electrical conductivity of carbon improves the sensitivity of the sensor by facilitating the electron transport related to hydrazine oxidation. 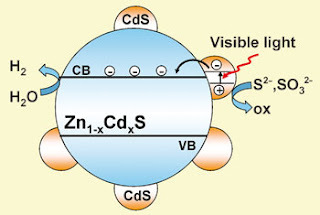 In addition, the chemical inertness of carbon improves the stability of the sensor by protecting the ZnO nanorod from corrosion by the electrolyte. 'While the sensitivity and stability of sensor have been improved, our electrode design also avoids conventional electrode fabrication processes, which are typically laborious and expensive,' adds Liu. Researchers have developed a new molecular system that could be used as the basis for a battery that can be recharged by light. In the system, light generates charge which is then stored until it is needed. In an ordinary photovoltaic cell, the charge must be used immediately or it rapidly becomes neutralised. The team, led by Ifor Samuel at the University of St Andrews in the UK, synthesised tree-like organic semiconducting dendrimer molecules with a cationic cyanine-based core associated with an iodide anion. The organic semiconductor and iodide are blended together into a layer between two contacts. Upon exposure to light, the cyanine core absorbs light, forming an excited state that is initially neutral - an exciton. Charge separation then occurs as a result of an electron being transferred from the anion. The researchers suggest that charge can be stored because the charged state of the cyanine results in a stable conformational isomer. Upon completion of a circuit, the charge moves to the contacts and the system discharges. A new, non-invasive method to deliver drugs to the brain has been developed by Taiwanese researchers. Using a combination of magnetic nanoparticles and focused ultrasound to pinpoint specific areas, the technique could be very helpful in treating brain tumours. Chen's team injected magnetic nanoparticles coated with therapeutic compounds into rats, then applied an external magnetic field to increase the concentration of the nanoparticles in the brain. Next, a low-energy burst of ultrasound was targeted on desired areas, which increased the permeability of the blood-brain barrier and allowed the nanoparticles to diffuse through across. The effect of the ultrasound is temporary, and the barrier returns to normal after a few hours. The advantage of using magnetic nanoparticles is twofold. Firstly, since the nanoparticles can be localised in the brain, far smaller doses are required, which would dramatically reduce any side-effects from the treatment and potentially allow stronger drugs to be used. Secondly, the magnetic particles show up on magnetic resonance imaging (MRI) scans, so that doctors can follow the progress of the treatment and monitor drug concentrations in the brain. This is important because tumours can have widely differing morphologies and may take up the drug in different amounts. Chen notes however that further research and development will be needed before the treatment finds its way into hospitals. In particular, the safety of the nanoparticles needs to be assessed as well as determining the best way to apply a magnetic field to localise nanoparticles in the brain. 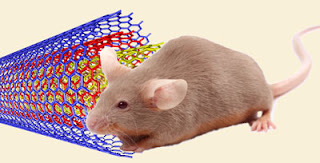 US and Chinese researchers have found that carbon nanotubes injected into male mice cause damage to the testes, but the harm is reversible and does not affect fertility.1 The work adds to the growing debate over the toxic effects of carbon nanotubes and their potential use for biomedical applications such as drug delivery vehicles. Now, Bing Yan at St Jude's Children's Research Hospital in Memphis Tennessee, and colleagues in China have investigated the toxicity of carbon nanotubes on the reproductive system of male mice. The team administered up to 5 intravenous doses of water-soluble multiwalled carbon nanotubes to mice over a period of 13 days. Within 24 hours, nanotubes were found in the testis. By day 15, the nanotubes had caused oxidative stress and tissue damage, but by days 60 and 90, the damage had been repaired with no observed effects on hormonal levels, sperm health, or fertility. The performance of water-based lithium-ion batteries has been greatly boosted by removing oxygen from the power cells, report Chinese researchers. Safer and cheaper than conventional solvent-based batteries, the aqueous cells have great potential for large-scale applications, such as storing the power from wind turbines or solar panels. Lithium-ion batteries are ubiquitous in consumer electronics - from mobile phones to laptops - but the toxicand flammable organic solvents contained inside can be a safety hazard. Manufacturing is awkwardand expensive, and in cases of overcharging or short-circuiting they can rupture or catch fire. This is of particular concern when scaling up the batteries for larger applications such as car batteries or power generation. The batteries are made from two electrodes held in a liquid electrolyte - typically an organic solvent such as ethylene carbonate. On charging and discharging, lithium ions move through the electrolyte between the two electrodes. Switching to a water-based electrolyte would be cheaper and safer - and is feasible using specially-designed electrodes - but water-based batteries have not been as reliable as their organic counterparts. Until now, the best aqueous cells to be developed lose around 50 per cent of their storage capacity after being recharged 100 times. Xia's team used carbon-coated electrodes of lithium iron phosphate (LiFePO4) and lithium titanium phosphate (LiTi2(PO4)3) and ensured that the cells were as oxygen-free as possible. With these modifications, the battery performance dramatically improved - showing the ability to retain 90 per cent of capacity after being discharged and recharged over 1000 times. 'Due to the energy density of water, aqueous lithium-ion batteries store less power than organic-based batteries, but reducing the price and solving the safety issues are very important,' says Yi Cui, an expert in battery design at Stanford University in California, US. 'The batteries probably won't replace the ones that are currently used in mobile phones - but they have big advantages for larger scale energy storage. ScienceDaily (Aug. 5, 2010) — A newly developed test could make checking DNA from people arrested for crimes with DNA samples from crime scenes stored in forensic databases almost as easy as matching fingerprints. With the test, police could check on whether a person's DNA matches that found at past crime scenes while suspects are still being processed and before a decision on whether to release them on bail. A report on the fast forensic test appears in the ACS' Analytical Chemistry. Andrew Hopwood, Frederic Zenhausern, and colleagues explain that some criminals are arrested, spend less than a day in jail, and then commit crimes while they are out on bail. If police could quickly test the suspects' DNA, to see if their genetic material matches entries in crime databases, they may be able to keep the most dangerous people locked up. But currently, most genetic tests take 24-72 hours, and by the time that the results are back, the suspects often have been released. To increase the speed of forensic DNA testing, the scientists built a chip that can copy and analyze DNA samples taken from a cotton swab. Forensic technicians can collect DNA from suspects by swabbing their mouth, mixing the sample with a few chemicals, and warming it up. The DNA-testing-lab-on-a-chip does the rest. The entire process takes only four hours at present. Hopwood and Zenhausern teams are already optimizing it and reducing the cycle time down to two hours. Once that is done, police could even double-check their DNA evidence before releasing a suspect. Zach Sharp from the University of New Mexico in Albuquerque is quick to point out that his team's study relates to the Moon's interior, rather than water on the surface that may have been deposited by cosmic dust and comets or formed by proton bombardment by the solar wind. However, two studies published earlier this year2,3 indicated that there was water present when some lunar rocks formed. Sharp's findings hinge on the distribution of the two stable isotopes of chlorine, 37Cl and 35Cl. On Earth, Sharp explains, the ratio of the two isotopes is very homogeneous, varying by at most about 0.1 per cent. Is the Moon dry inside? 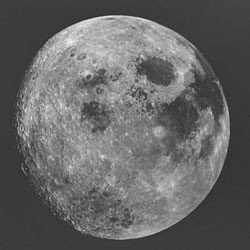 If there was no hydrogen (in the form of water) around on the early Moon when the magmas were cooling and crystallising, then chlorine would not be vaporised as HCl but as metal chlorides. 'But the bonding in those metal chlorides is about the same strength as in the magma,' says Sharp, which means the force driving vaporisation of 37Cl is eliminated and 35Cl ends up being removed preferentially as its lightness and mobility wins out. He adds that the theory fits with other observations that have found deposits of metal chloride salts on the surface of Moon rocks.